From April to September this year, Global Views Magazine assigned 25 "mystery citizens" to assess the service quality of local government agencies. 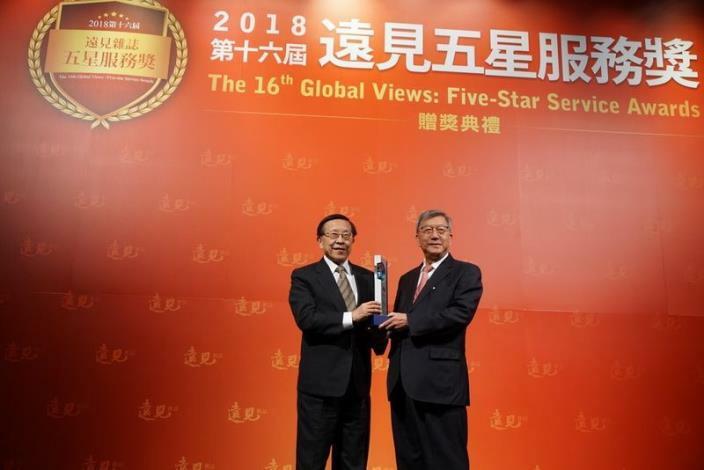 To everyone's surprise, Hsinchu County Government was named the winner of this year's Five-Star Service Award—1999 Hotline Service. 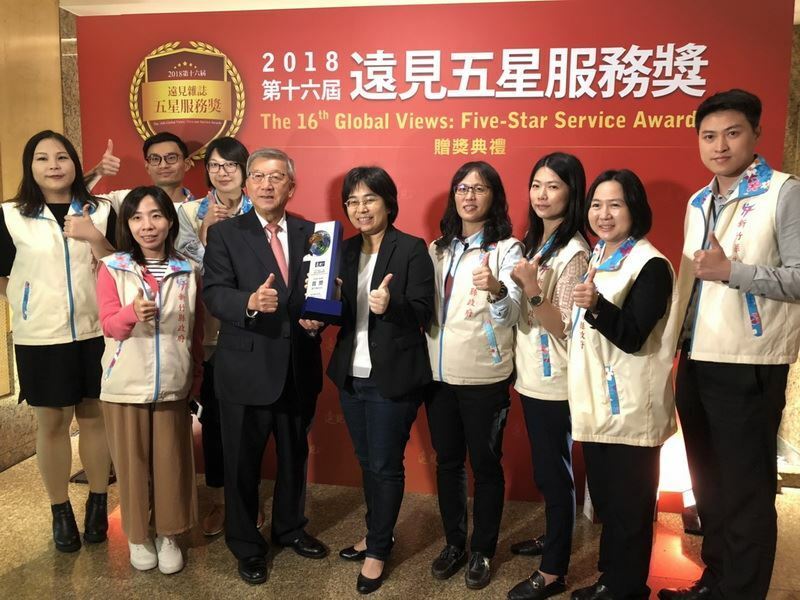 The Five-Star Service Award is considered the "Oscar of the Taiwanese service industry." With relatively limited resources, Hsinchu County Government punched above its weight, prevailing over all the other cities and counties in Taiwan and terminating Taichung City's record of winning the award for three successive years. 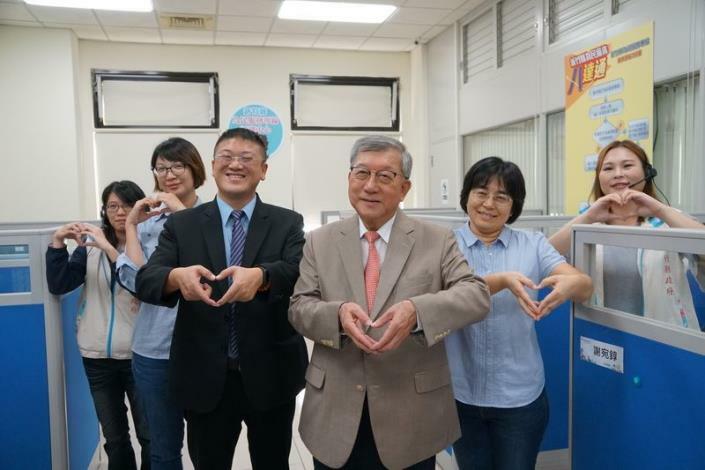 On December 3, Hsinchu County Magistrate led his team to Taipei to attend the award ceremony. He was proud that Hsinchu County Government was the only government agency to win the prize. 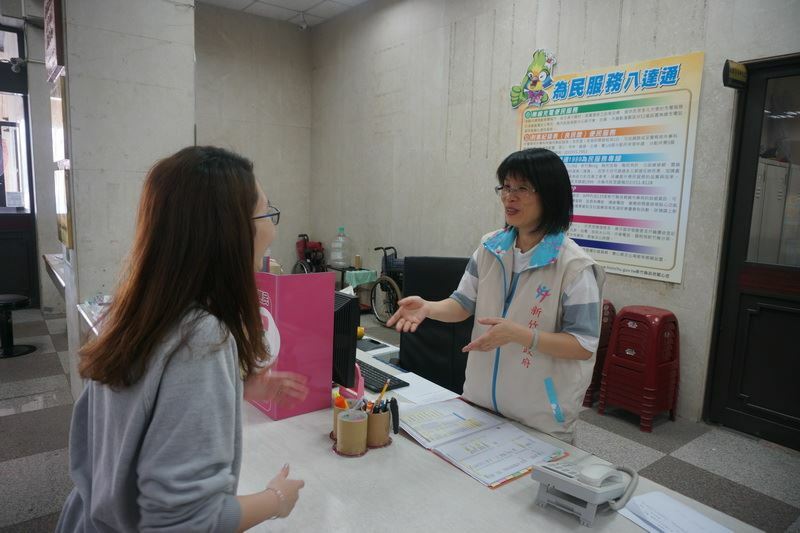 The service hotline of Hsinchu County was established in June, 2016. Although it could not compare with other hotlines operated by the six special municipalities in terms of scale, it captured second place in 2017 for the first time and then first place this year. Magistrate Chiu hoped all the staff members in the county government could keep going, providing all the citizens with even better services. In cooperation with BOSS, a consulting company specializing in the survey of service quality, Global Views Magazine commissioned a number of certified investigators from ITA CERTECH REGISTRATION (TAIWAN) INC. to carry out the assessment. Those investigators disguised themselves as local citizens of Hsinchu County and presented multiple problems without prior notice. They attempted to figure out the real service attitude and quality of the first-line staff. 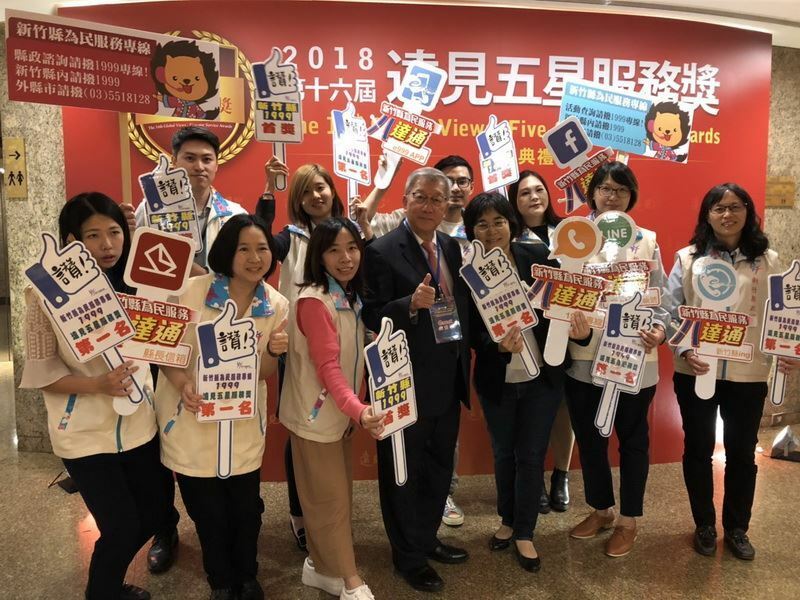 Director of Hsinchu County Government General Development Department Chen Guan-yi showed that in addition to the 1999 hotline, the county government has integrated all the channels of communication so as to solve people's problems more efficiently. 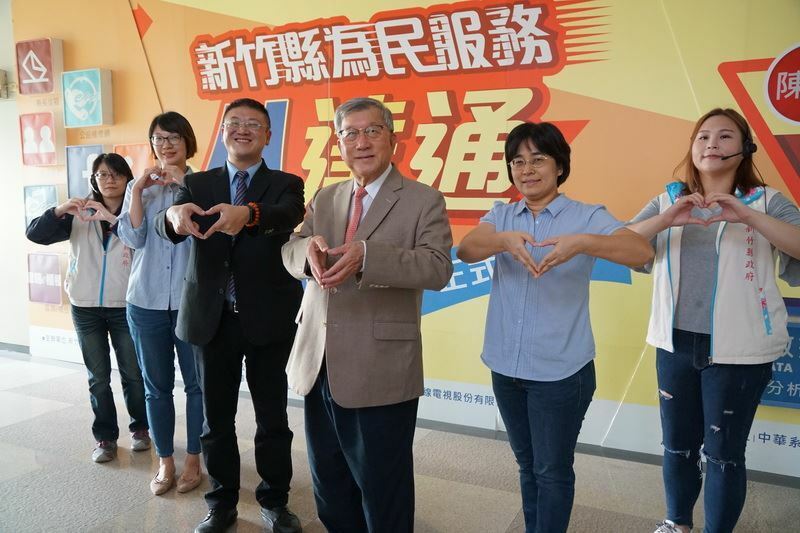 Moreover, the county government has also started a LINE group in which interdepartmental discussions and decisions could be made immediately during the typhoon season if there is any damage reported. Only with sufficient preparation and proper understanding of various public affairs can the government staff solve people's problems promptly. Those diligent service representatives have to keep track of the latest news and listen to the citizens' voices carefully to provide practical solutions and increase people's confidence in the government.